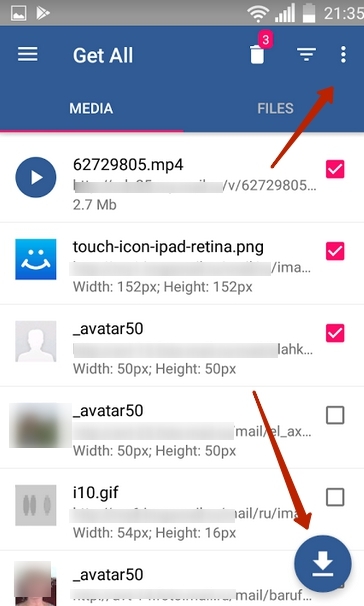 How to download video/pictures/audio and other types of files through GTA? 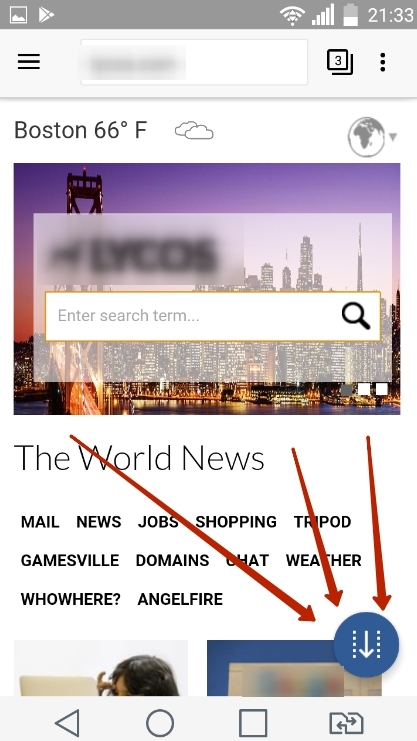 1) Open the website in your browser (by entering the link or using a search engine. 2) Wait for the page/site to finish loading. If you need to download video or audio, make sure to launch it (the video or the audio must be playing). 3) Press on the GTA button and wait for page analysis to complete. 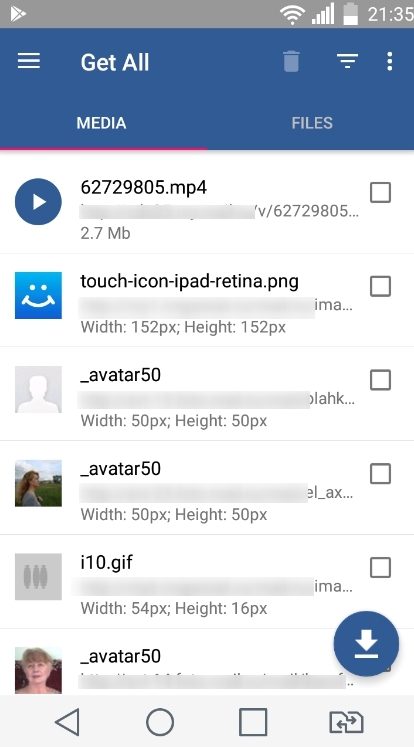 Media - contains videos, audio and images. Files - contains archives, documents, HTML-pages etc. - one by one, by tapping on the required file and pressing Download. - multiple files at once, by selecting the ones you need using checkboxes and then pressing on the Download button. - all at once by selecting Download All. 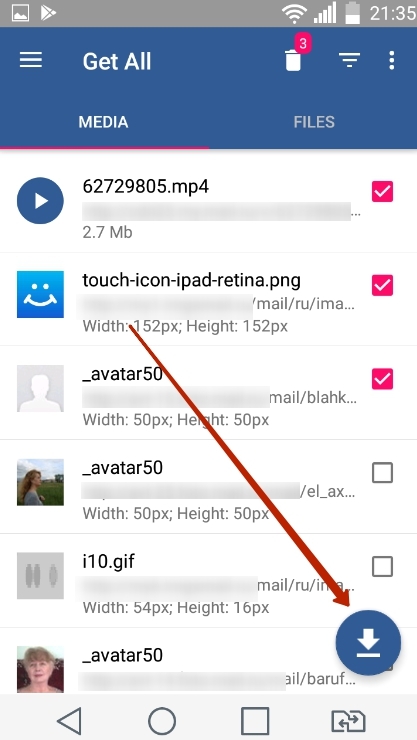 You can also use filters to select just videos or JPG pictures. 5) After pressing on Download, you will be redirected to Download Manager where you can follow the progress of your download and stop it if needed. 6) Once the files have been downloaded, you will be able to find them in the File Manager, a folder whose name will consist of a domain name and a date, for example, x2t.com-09-08-2017 (the folder name can be changed in Settings). 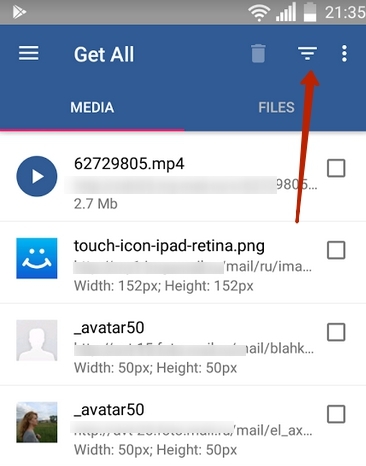 You can use the file manager to open the downloaded files or send them to Google Drive, Yandex Disk or to your computer through GTA Receiver.